Everyone and everything can benefit from even a little bit of style. Take the plain, simple, boring, yet highly functional paper clip. They can take on a style all their own by the simple addition of some small beads. This little tweak not only makes the paper clip chic, but transforms the task of clipping a few papers together into a stylish event. Learn how to make your own decorative paper clip for your notebooks and papers. You can simply add beads like I did on the first paper clip above. Add a tiny drop of glue to hold the beads in place if they move up and down the wire. 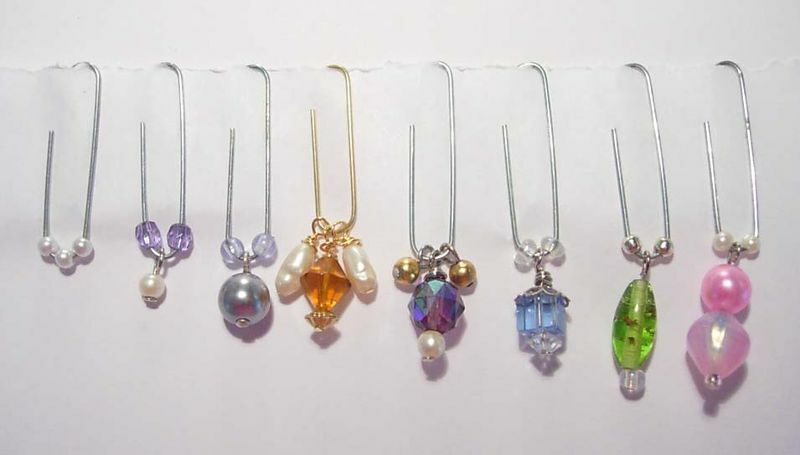 Create dangles by threading a bead on a jewelry making endpin.Use pliers to create a small loop and wrap wire around the top of the bead. Clip off excess wire. (See illustration, below) Then place the dangle in the order you want onto the paperclip. Close the paper clip to its original position. While I love to do a bigger DIY project every now and again, I love my quick and easy projects the best. The ones that add little bits of style here and there. Take a look through my Insta-Style Project Gallery for more quick and easy style and decor tips. 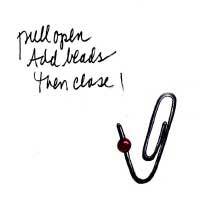 Hi Norma – Thanks – I make and use decorated paperclips everyday. Doing paperwork is no fun, especially when bills are involved. Adding them gives the job a little visual treat. I came here looking at your Dollar Store Frames-Post, but I find this more noteworthy ;-). Love the prettified paper clips. So sweet – will copy ;-). How cute! And affordable! Gotta love that! Thanks for linking! !